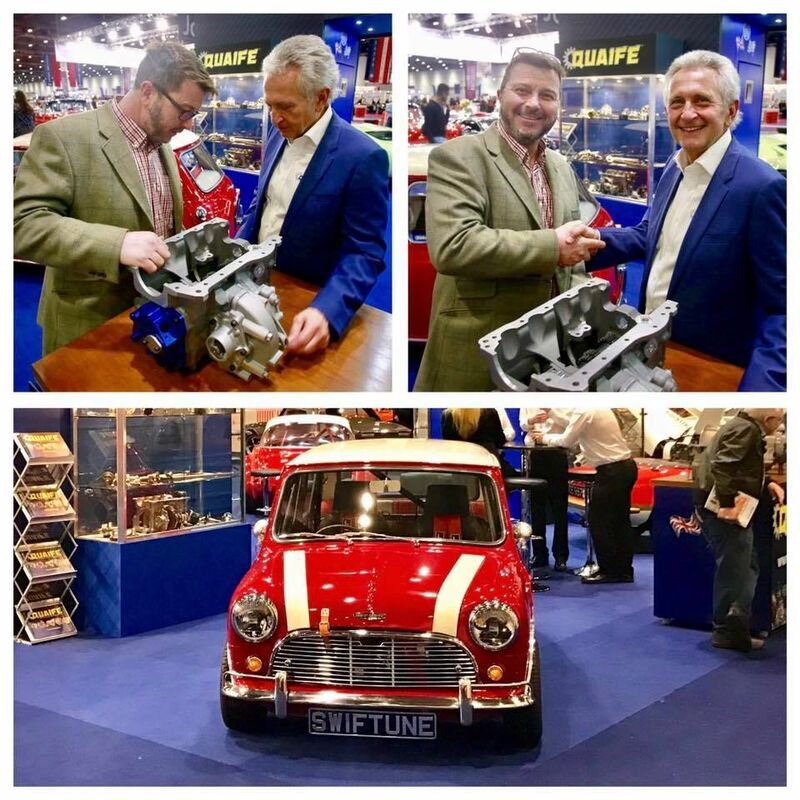 Michael Quaife and Nick Swift with the brand new Classic Mini 5 speed sequential gearbox manufactured exclusively for Swiftune Engineering at The London Classic Car Show in February.....price and official launch date to come, after real time testing in Swiftune's Longman 1275GT. Edited by mab01uk, 16 April 2017 - 09:17 AM. Has this gone into production? Looks like a very well engineered piece of kit, well done to Swiftune and Quaif. Its a lot more meaty than the watchmakers Colloti box. 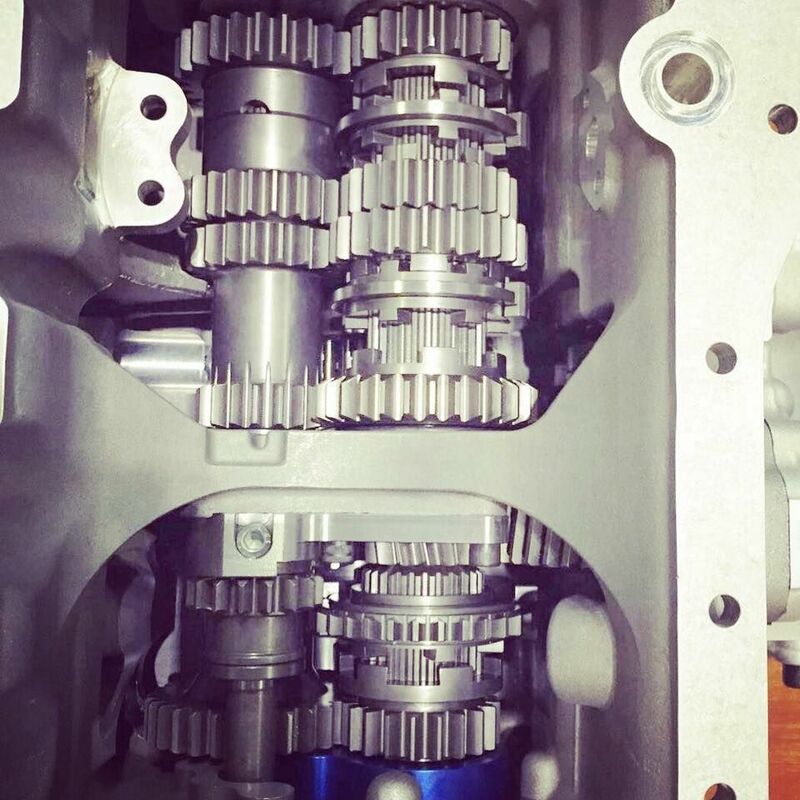 Exactly what this box is, lower diff for better acceleration and an over driven top gear for a bit extra top end, and guess what, with a lower diff it can be pulled. 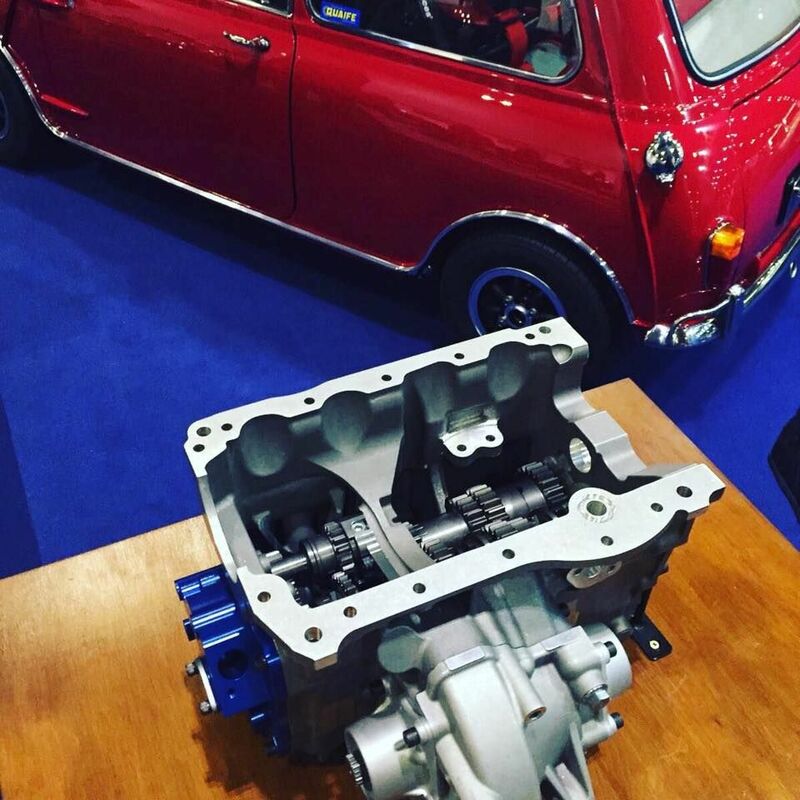 Instead production Minis ended up with silly high gearing, that they could not pull a rice pudding skin off, with lower top speeds too, all to help the noise / economy and emissions figures, I blame the EU. Oh well, if they are going to make a new gear casing, it becomes much easier to get two shafts and the drum into it. Come to think of it, I can't see any sign of the drum. Do you mean the gubbins for the sequential change mechanism ? Because of the drum, you have to shift in sequence. There is no skipping, for example, from first gear to third. You must always go through second gear to get to third gear. It is the same when downshifting. The advantage of this system is that shifting mistakes are impossible. You always go to the next gear. So is it in production yet what is the hold up. sounds like pie in the sky to me. sooo? why not a road box as well? bigger market? maybe it sh t its self on the first downshift!!! !